OPPO F1 was announced back in January 2016 and has launched in many markets already. Today, OPPO Bangladesh has officially posted (read: confirmed) about the availability of the product in Dhaka and elsewhere in their official facebook page. The smartphone comes with a 5.00-inch display having a resolution of 720 pixels by 1280 pixels and a PPI of 294. As for the hardware it’s powered by a Qualcomm Snapdragon 616 Processor and a 3GB of RAM. For the storage needs, the phone packs 16GB of internal storage which is expandable up to 128GB via a microSD card. The OPPO F1 has a 13-Megapixel primary camera and a 8-Megapixel front facing camera specially built for selfie lovers. The device packs a 2500mAh powered battery which is unfortunately non-removable. If you’re looking forward to buying a dual sim device, the OPPO f1 also has the feature which accepts Nano-SIM and Micro-SIM. Specs wise the smartphone is like any other smartphone but is the latest around the corner. What’s the price of OPPO F1 in Bangladesh? 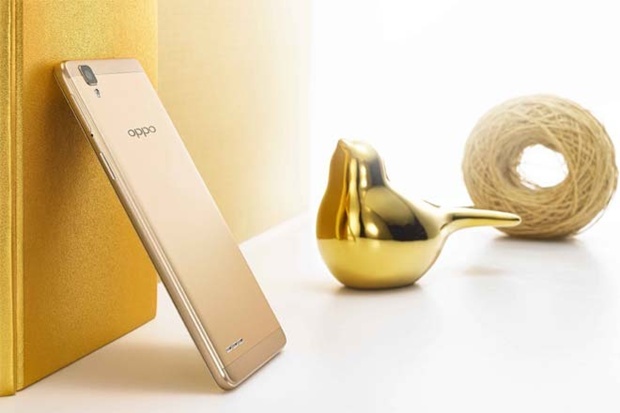 The price, as stated by OPPO Bangladesh, is Tk 21,800. OPPO F1 is mainly focused on the ‘selfie’ feature which means this is an ideal device for those who loves to take selfies with their loved ones.